backpacking campsite, Wrangell St. Elias National Park, Alaska. How to find a campsite, by Carl. 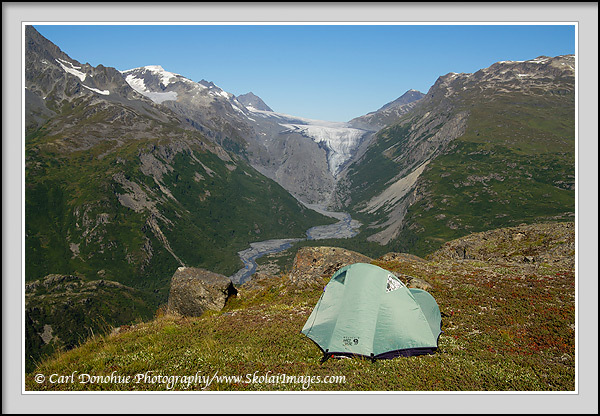 backpacking campsite, Mountain hardwear Tent, PCT 1, in the Chugach Mountains, looking at a glacier, Wrangell St. Elias National Park, Alaska.